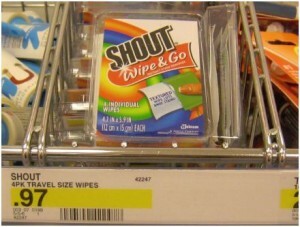 Target: Shout Wipe and Go Travel Size Moneymaker! Final cost: FREE + $3.74 moneymaker! Final cost: FREE + $1.09 moneymaker! **This rebate has no size exclusions, so this will work!